While Trazodone dependence is not very common, it is still a possibility to take into consideration. 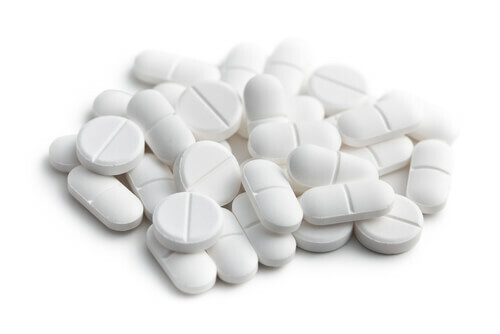 People with Trazodone abuse issues can develop an addiction to the drug. In some cases, a person may also become addicted to the medication Trazodone without realizing it – which often happens through an increased dose when the effects of the medication wear off. This article discusses the use of this antidepressant drug, consider whether the medication is addictive, and looks at both the physical and psychological effects of addiction. The article will also discuss possible treatment options that individuals may be provided to assist in withdrawal when the individual stops using the drug. What Are The Trazodone Abuse Risk Groups? What Are The Effects Of Desyrel Addiction? Can Trazodone Be Used In Addiction Treatment? 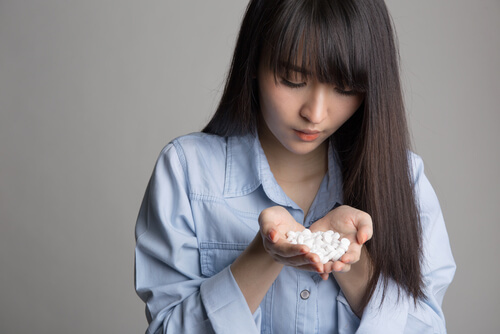 How Is Trazodone Addiction Treated? For people trying to figure out what is the medication Trazodone – this is an antidepressant. To be more specific, the Trazodone class categorization would be SARI, or serotonin antagonist and reuptake inhibitor. The drug works by inhibiting the reabsorption of serotonin by neurons in the person’s brain. Serotonin is a type of neurotransmitter that is mainly active in the brain and plays a role in the regulation of numerous neurological effects. One crucial area where serotonin plays a part, is the regulation of the person’s mood. This is primarily where Trazodone benefits come into play. The idea behind the use of Trazodone is to assist in elevating levels of serotonin available in the person’s brain. This, in turn, may help to enhance the individual’s mood, and possibly support with reducing signs of depression, as well as provide an effective treatment solution to anxiety disorders. The drug may also impose a sedative effect on the individual, which is why, in some cases, Trazodone for sleep may be an option considered by a doctor. Trazodone other names may include the Desyrel, as well as Oleptro and Trazodone D. The ingredients would usually include Trazodone Hydrochloride. The redistribution half-life of Trazodone is approximately 60 minutes. The drug’s elimination half-life, however, may be up to 12 hours. People looking for information on a question like is Trazodone safe should note that some side-effects may occur. Trazodone has been associated with fewer side-effects that some of the other antidepressants that person may be prescribed. In some individuals, Trazodone and weight loss might be a possibility, as a reduction in appetite may occur. There are various uses for this drug. Even though Trazodone was officially developed as a serotonin antagonist and reuptake inhibitor to act as an antidepressant in person with depression, medical experts have noted that the drug can assist in the treatment of other conditions as well. The FDA has officially approved the drug as a treatment option for depression. Individuals who experience depressive thoughts and other symptoms that are commonly associated with this mental health illness may be prescribed a particular dose of Trazodone – the specific dose will depend on the severity of their symptoms. While officially approved as an antidepressant by the FDA, there are specific off-label uses for this drug as well. Doctors sometimes prescribe the medication to patients to help treat certain types of anxiety disorders. It has been found that the use of this drug can help to reduce the severity of anxiety attacks and lessen the frequency. People with panic attacks may also be prescribed this particular medication. Another popular off-label use for this SARI antidepressant drug is in the treatment of insomnia since the drug does cause some people to experience sedation as a side effect – in cases where a person suffers insomnia, this particular side effect is considered a benefit of this antidepressant. Some people tend to use this antidepressant for recreational purposes. There are different reasons why a person may use this as a recreational drug – the person usually enjoys the effects that the drug has. While the antidepressant is not known to cause a Trazodone high feeling in the individual, it may induce sedative effects, which is why some people do use it recreationally. Some people may be at a higher risk of abusing SARI and other types of antidepressants than others. In particular, people with a history of addiction are more likely to abuse this drug or increase the dosage without first consulting with a doctor. Using Trazodone with alcohol may increase the likeliness for abuse. Furthermore, it should be noted that some people may also be at risk of developing an addiction to this medication without their knowledge. This often occurs when the person’s body develops a tolerance to the drug. This calls for a higher dose. Eventually, once the individual feels better and decides to stop using the antidepressant, withdrawal symptoms are noted – this is because their body has developed an addiction to the effects imposed by these pills. This may also cause the individual to overdose on Trazodone. People often ask is Trazodone addictive or habit forming. The answer would be yes, but at the same time, it should be noted that the risk of addiction if reasonably low with this drug. 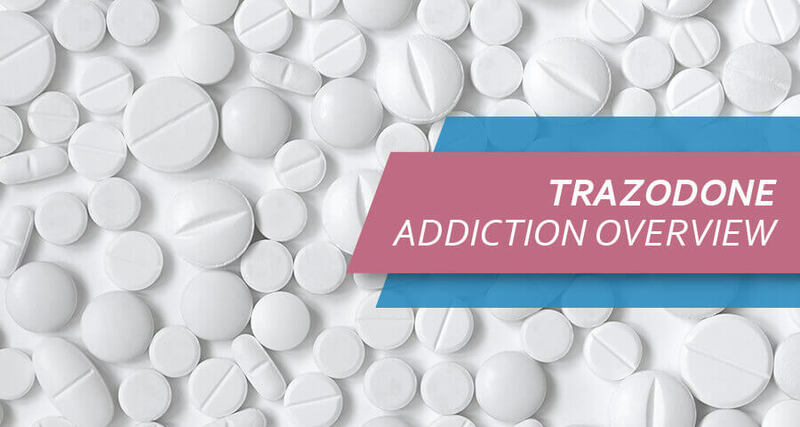 In the majority of cases where addiction is indicated, the individual would become addicted to Trazodone hydrochloride without their initial knowledge – this is often because their body gets used to the drug’s effects and develops a dependence. Physical addiction symptoms may appear in a person who has become dependent on the effects that the drug provides them. The patient may start to take a higher dose without any recommendations from a doctor. In some cases, the patient may also hide the fact that the drug is being used. Or the patient may not advise loved ones of a dosage increase. The individual may also exhibit specific psychological symptoms that could signal an addiction. This may include anger and frustration when the patient is unable to get a hold of the drug. The patient may not want to stop using the drug, even if they have been told to do so. When addicted, psychological withdrawal from Trazodone may also be worse. The patient may be irritable and experience mood-related issues when their body gets used to the new dose. There are specific symptoms or side effects associated with addiction to this antidepressant. The patient may experience physical effects, along with psychological effects, in addition to the standard range of Trazodone side effects. In some cases, social-related signs of abuse may also become present. The specific effects of the medication vary from one patient to another, but below is an outline of common behaviors and signs exhibited by patients. Some patients may experience more severe side effects when they abuse this medication. These may include chest pain, fainting, an irregular heartbeat, easy bruising, and the possibility of seizures. It is also important to recognize potential Trazodone interactions with other medications, as well as with alcohol. When combined in an abusive way, side-effects may be worse. In some cases, patients may isolate themselves from social situations. The patient may also start to experience family-related problems, as well as issues at work, that all develop due to their abuse of the Trazodone medication. 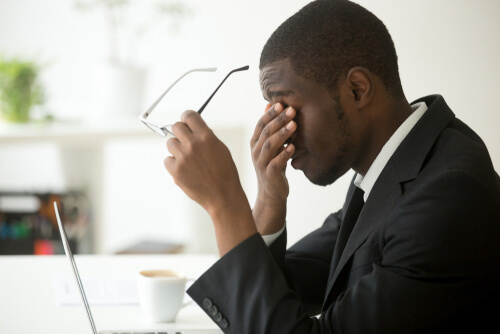 While Trazodone is most often utilized as an antidepressant, as well as to treat anxiety and insomnia, it is sometimes also used as a way to assist in the treatment of certain addictions. Patients who are undergoing detoxification for alcohol and drug addiction may be provided with this particular medication to help reduce the severity of their withdrawal symptoms. Treatment implement for a person who has become addicted to Trazodone depends on factors such as the severity of their dependence. The patient may be provided a lower dose of the drug, such as a Trazodone 50 mg tablet once per day. The doctor may also prefer to switch the patient to a different antidepressant that is less addictive. Detoxification in either an inpatient or outpatient setting may be advised, as monitoring of the patient can be helpful in the treatment of this addiction. The recovery in specialized drug rehab facilities makes the process easier and faster.